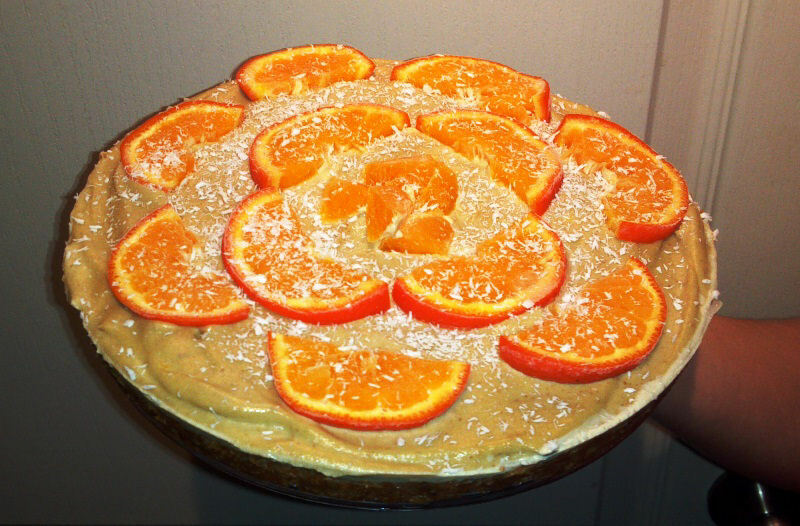 – As a final touch, make thinly slice up some oranges (make sure they are organic!) and place them around the tray as a decoration. 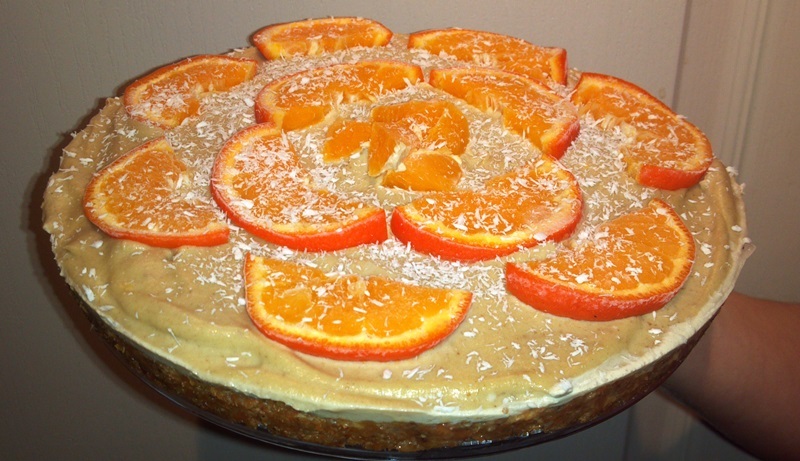 You can also use sliced tangerines as well. Place the cake into the freezer for a couple hours. The cake is thick and will never fully freeze, so don’t worry about it! 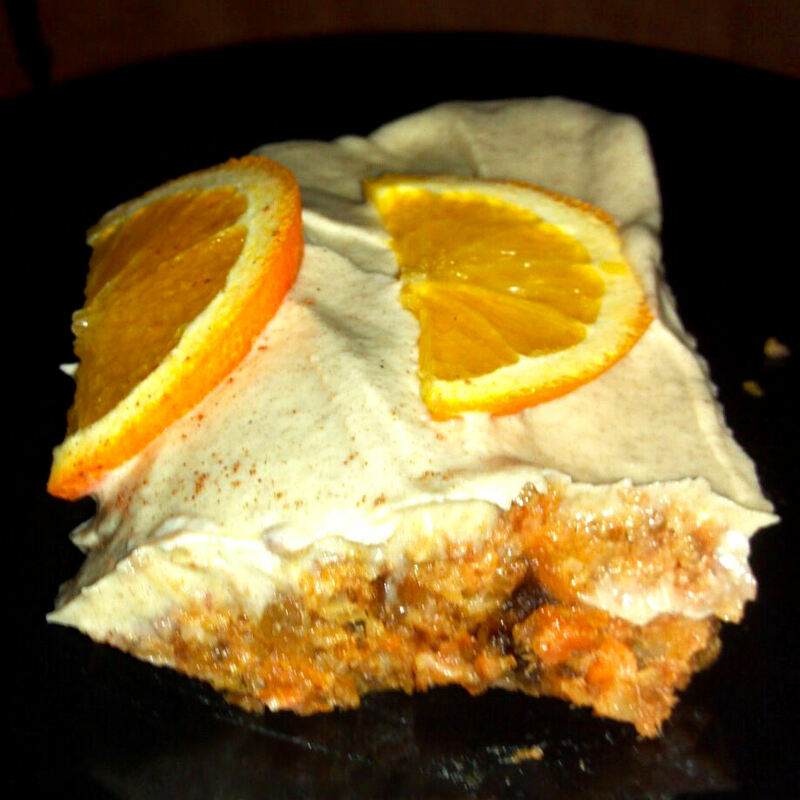 The texture of the frozen oranges on top of the cake is simply devine. This is a big hit with friends and family! Voila! Perfectly Rawmarkable carrot cake!